Residency Showing for The Commons Choir at The Jamaica Center for the Arts on April 5th 6:30pm. More info here! UPDATE: Bifur/cación Monday, March 16th, 2015 Movement Research at Judson Church. Check the event for details, tickets starting at $5! Mapping : tijuana on August 4th at 7pm & 8pm in Parque Teniente Guerrero & August 5th, 2014 at 7pm in Plaza Santa Cecilia. Check out the project below, every little bit helps! Presenting my newest work in progress at the Fresh Tracks showing at the New York Live Arts Friday May 30th, 2014 at 6pm. RSVP here!! Presented Bifur / cacion on May 3rd, 2014 at 8pm at the Fete de l'Hurricane Festival at Red Bean Studios, curated by Carrie Brown. Check out the listing in the New York Times for the Fresh Tracks Showcase the week of December 19-21st 2013. I will be presenting Ripping Up The Finish. 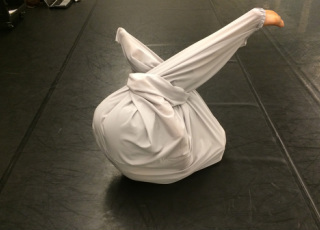 Throughout September-2013, I taught a children's workshop in Bed-Stuy as part of the New York Restoration Project in Brooklyn Gardens and the Indie-Ballet Collaborative Artistic direction by Ariel Asch. Free and open to the public— Come dance with us and enjoy the last days of summer. We were featured in The New York Times! Check the article for more information. Hope to see you there starting this Saturday at 2pm at the NYPR's Target Brooklyn Community Garden 931-933 Bedford Ave Bed-Stuy. Saturday August 10th, 2013 at the LPC Garden as part of the GROUNDPLAN Art Festival! Come and map the space with us. Dis Or Der made its NYC debut October, 2012. Thanks to everyone who invested in us and made it possible through the wonderfully practical Kickstarter.